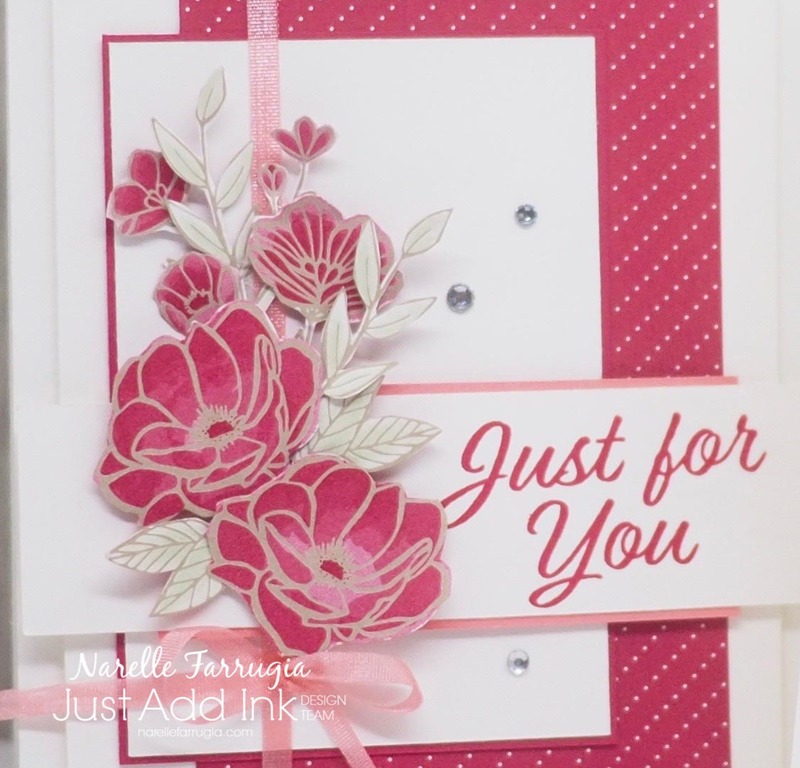 I am so loving your card in these shades of pink – one of my fave colors, especially for crafting! just beautiful! Beautiful card! I’d love to know what measurements your layeres are! 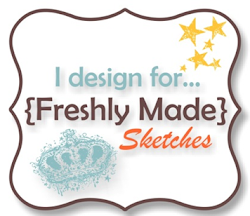 I really want to CASE your card and do it justice! TFS! Oh, wow, your card is amazing! The fussy cut flowers certainly looked stamped! I hate cutting into DSP for the first time to, but in your case it was certainly worth the pain! So beautiful! Love the gorgeous flowers. very pretty in the bright pink, such a lovely card. Gorgeous fussy cutting and arrangement of flowers! I can’t believe the flowers aren’t stamps! Great job! The All My Love paper is just the prettiest & you’ve made it info an even more gorgeous card, Narelle. 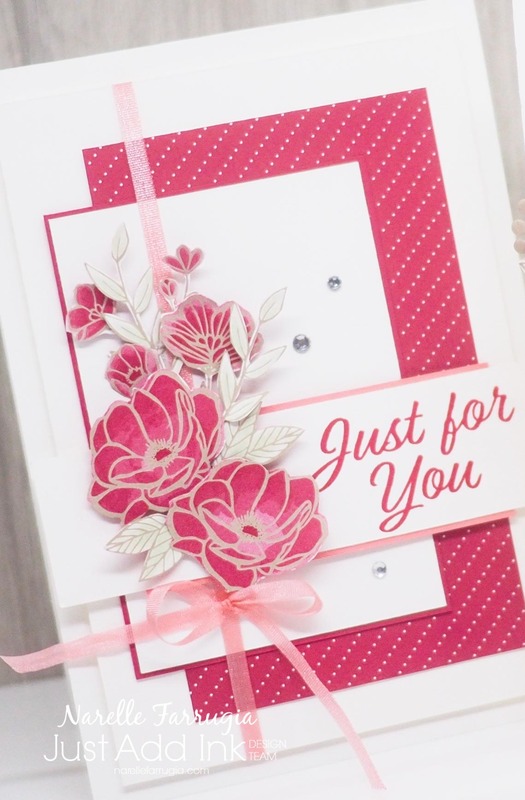 Love your little flower cluster teamed with the stripey-dotty paper. So fresh & beautiful.